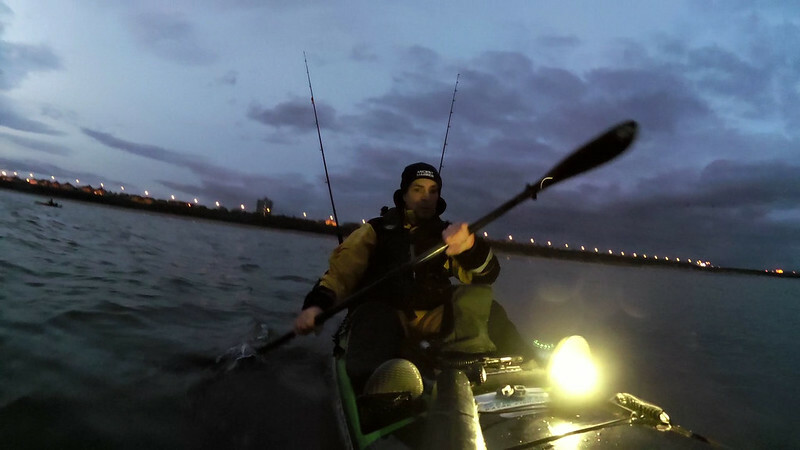 Graeme and I headed kayak fishing out at Whitley Bay at first light on Sunday. We knew the wind was going to get up late morning but were hoping to get a couple of hours fishing in first thing before it came in. 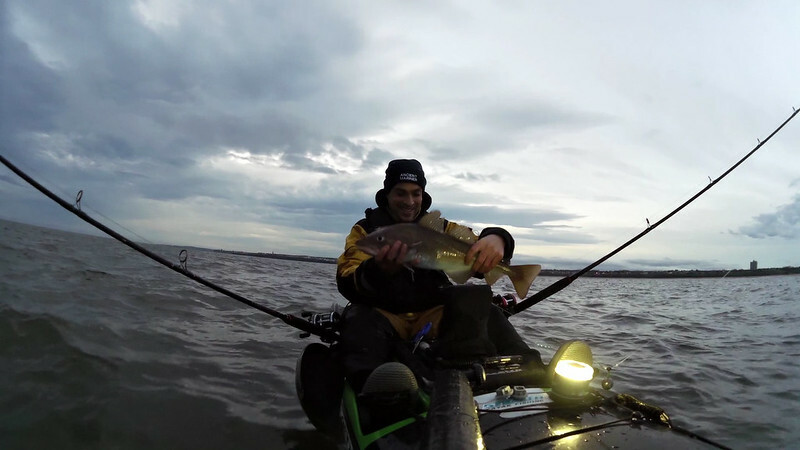 We were on the water before 7.30am just as the first light was showing. The wind at this stage was fine. Probably around the 10mph mark but coming from the South rather than the forecast South West making it a little choppy in what should have been a flat sea. We paddled to a mark fairly close in shore. Graeme dropped anchor over the reef edge in 20-25ft of water and I then anchored up fairly close by on the inside. I decided to fish 2 baited rods. 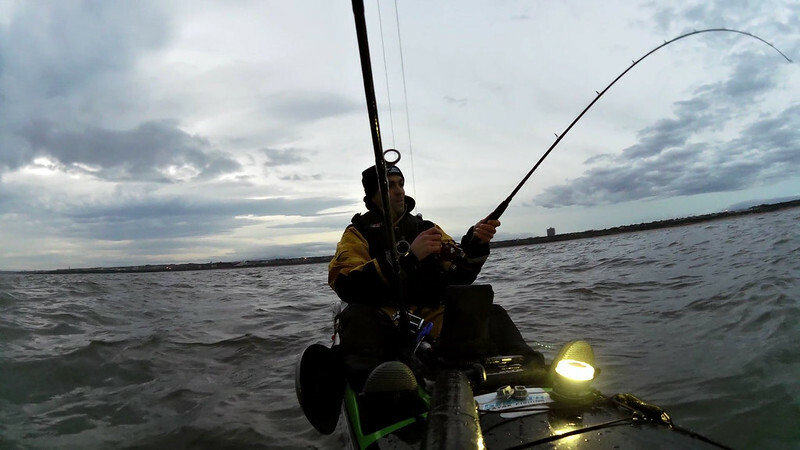 One with a size 5/0 circle hook and a good amount of black lug and squid in search of a nice size cod. 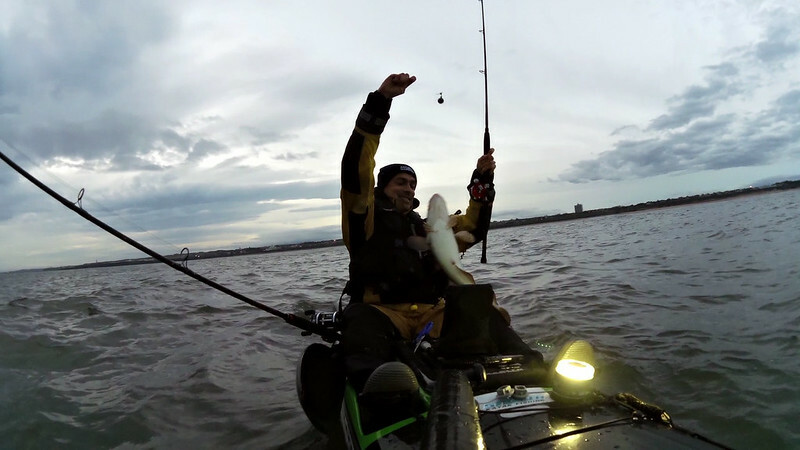 The other has a size 1 hook with a small bit of razor tipped with squid to help my cause on the species comp. I had a good cod on the big bait on the first drop. I must have only been fishing for a maximum of 2 minutes. Whilst dealing with the cod I then had a small tap on my other rod and up popped a pouting. Things were looking good. The next 20-30 minutes saw another couple of cod appear and then just as I thought I was going to bag up the wind picked up. It went from 10mph to 20mph+ in no time at all. The sea went from choppy to rough and Graeme and I decided we needed to call it a day. It was a shame we didn’t get another hour or so but any time on the water is enjoyable. 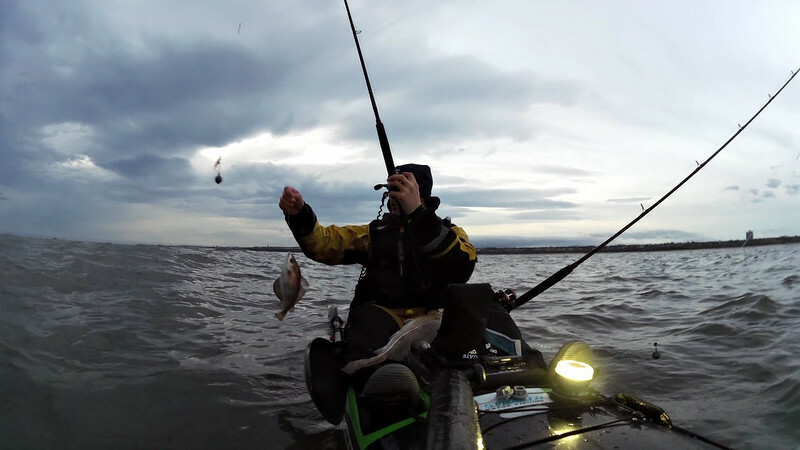 A short report for an even shorter fishing session. 40 minutes fishing is my new record! Tricky on Who am I? 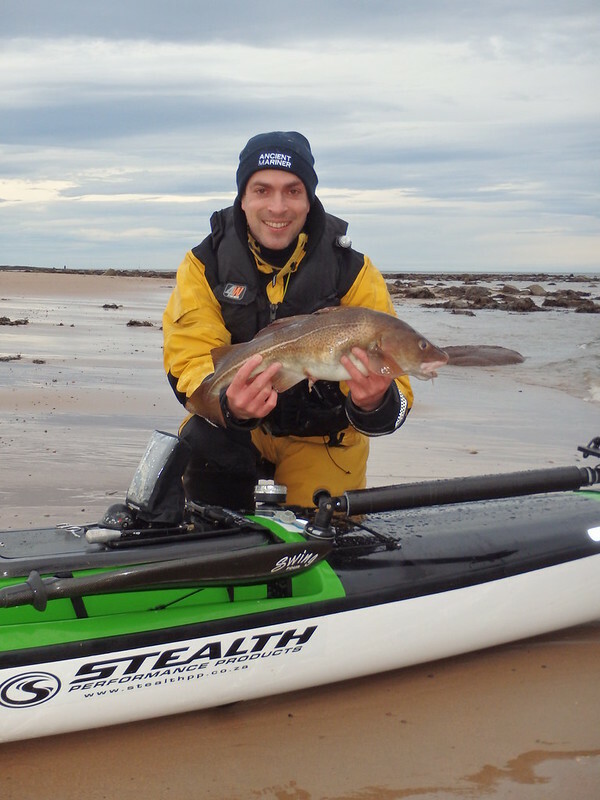 The kayak fishing was good; it was the catching that was bad.